Join the Draper Natural History Museum for the first Lunchtime Expedition of 2019, February 7 at 12:15 p.m. Zach Hutchinson, Community Naturalist for Audubon Rockies, presents Bird Banding in the Big Empty. The talks in this series are free, and take place in the Buffalo Bill Center of the West’s Coe Auditorium the first Thursday of the month. 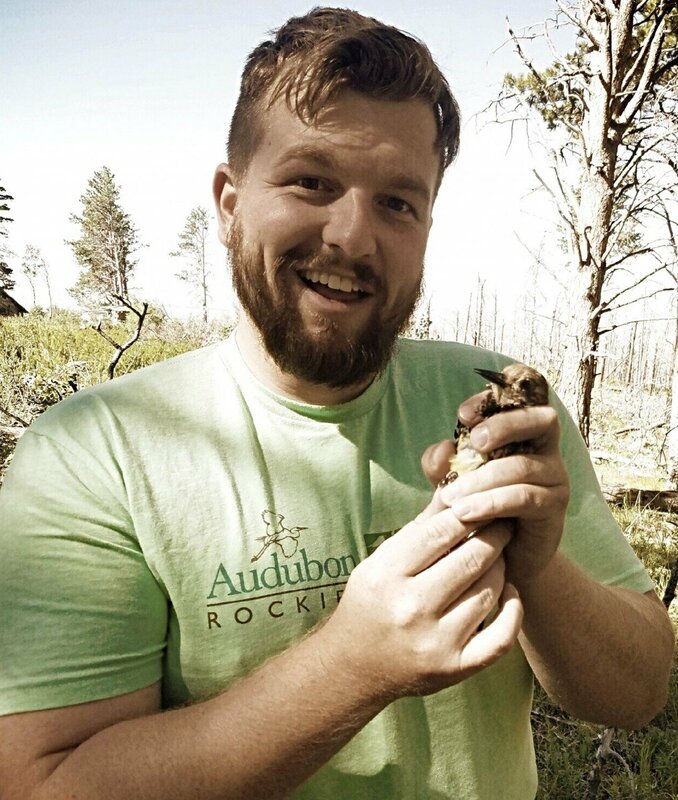 Zach Hutchinson is a Community Naturalist, and, as a master bander through the U.S. Geological Survey, coordinates the banding activities for Audubon Rockies. Hutchinson coordinates the banding efforts in Wyoming and Colorado; at this presentation, he shares insights about the work occurring throughout the state. Come to learn how bird banding happens, and how citizen scientists can get involved. Zach Hutchinson graduated with a B.S. in Zoology from Northwest Missouri State University. Prior to his position with Audubon Rockies, Hutchinson operated programs combining science, art, and kayaks; served as an alligator conservation biologist; and was a museum operations director. He authored The Great Wyoming Bird Trail, an app guiding bird enthusiasts to finding birds in Wyoming. His passion with Audubon focuses on engaging students and adults with experiential learning through various bird research projects. His passion for conservation started from birth and his personal life greatly reflects his work life. Hutchinson also has a passion for international travel. Since 1917, the award-winning Buffalo Bill Center of the West in Cody, Wyoming—just an hour east of Yellowstone National Park—has devoted itself to sharing the story of the authentic American West. The Center is an affiliate of theSmithsonian Institution. For more information, visit centerofthewest.org or the Center’s Facebook page.